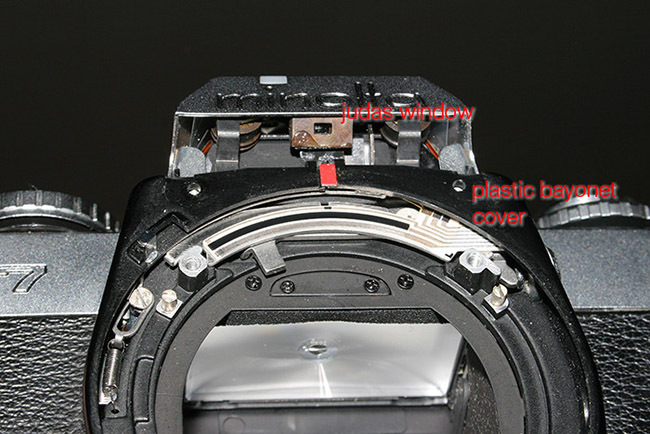 The plastic cover (just lifted in the image below) can now be completely removed from the body (be gentle or you might crack it). You'll have to partially peel the letharette just above the selftimer lever. 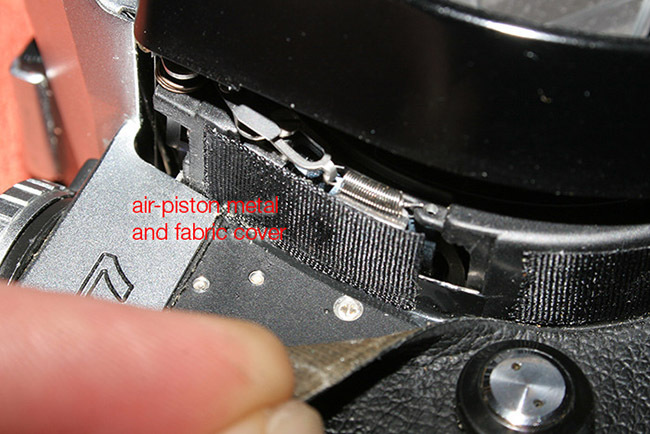 There's a fabric and metal plate covering the air piston kept in place with some adhesive tape. Gently pull it aside (rotating it towards the top of the camera). You can now see the air piston. 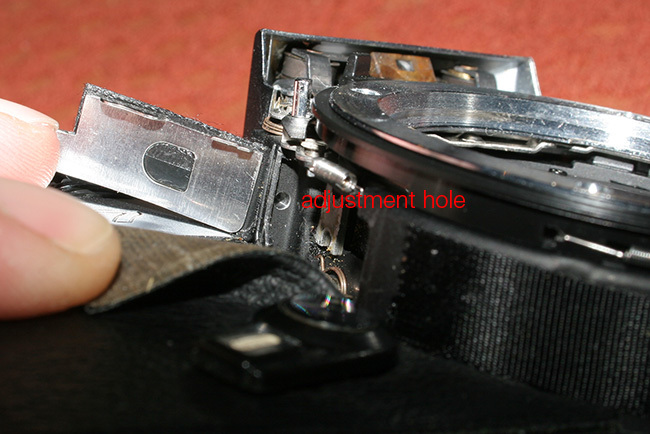 There are two phillips 00 screws that need removing (there's another brass screw on top of the cilinder. Don't mess with that one! 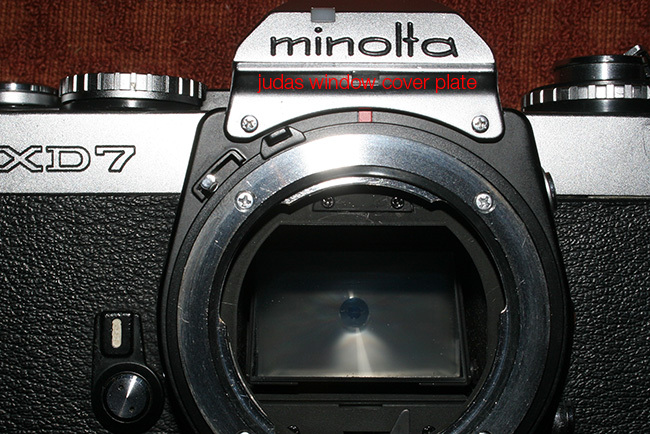 It controls the stroke of the piston inside the cilinder and subseqently the normal mirror lag - a few milliseconds). You can now extract the air piston from its place but be careful as the components are not bound together. 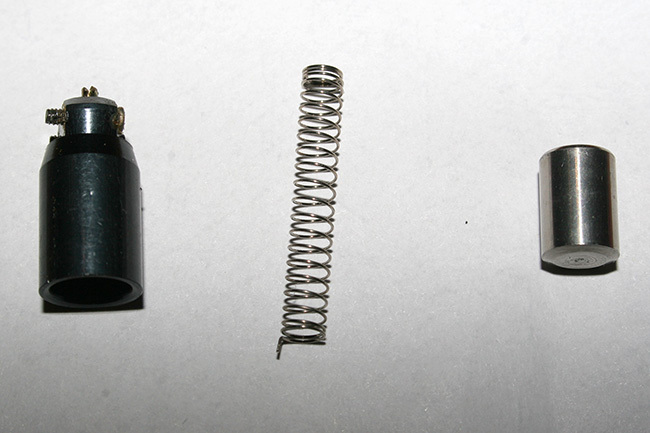 You'll notice that the air piston is made of a metal cilinder, a spring and the actual piston. 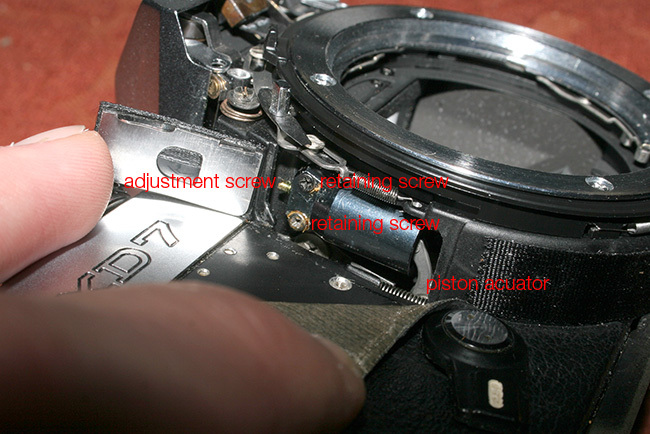 Through this hole adjustments to the piston stroke can me make, as it corresponds to the adjustment screw position when the piston is in place. 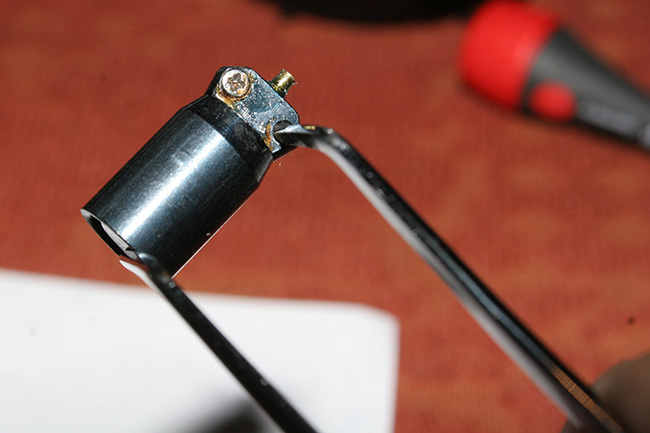 This is the piston acuator, connected to the mirror. The actual piston rests on it. This is the piston's components, exactly as they come apart. Take care at the positioning of the spring while reasseblying. After removing it clean the inside of the cilinder and the piston with isopropylic alcohol and ear buds and then blow them with an air blower so that they're cotton remains free. 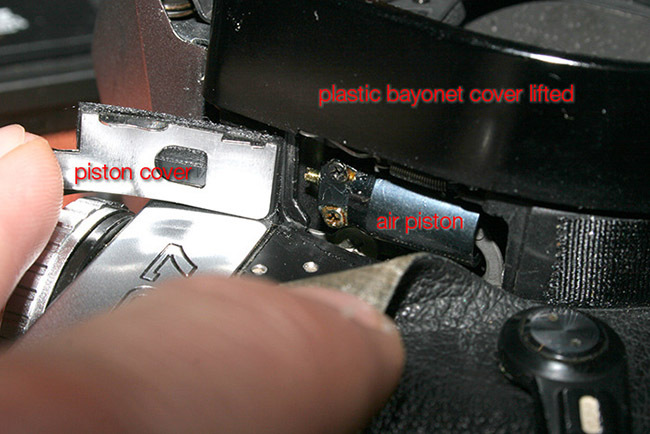 You could also use some graphite powder with the cilinder and piston. Place the powder on another ear bud and then rub it against the inside of the cilinder. Work the whole assembly a couple of times then blow off all the extra powder. Replacing the piston is pretty intuitive. 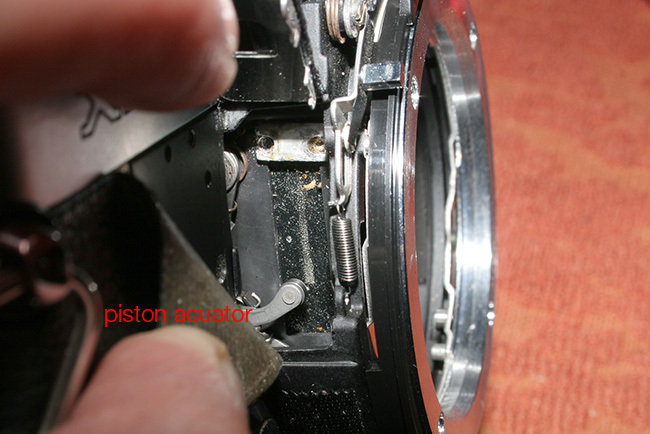 I've used a tweezer to grab the piston assembly and place it over the piston acuator. The right position is dictated by the two retaining screws.